Aspect Safety Mirrors Ltd are a leading supplier and installer of unbreakable and shatter-resistant safety mirror products. 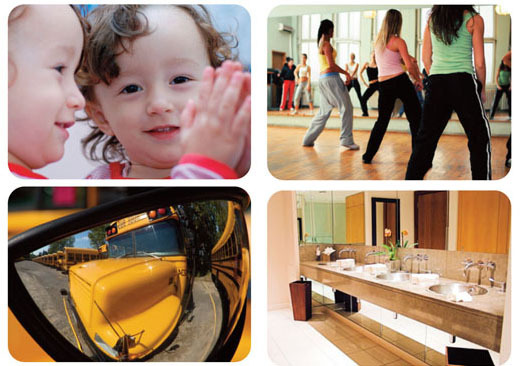 We have been at the forefront of the safety mirror industry for over 20 years, providing first class solutions to many of the UK’s leading companies, dance studios, gymnasiums, major institutions, government and educational establishments. Our safety mirrors are produced from high impact strength materials such as Acrylic, Polycarbonate and Stainless Steel. They are ideal for use in any application where glass mirror may easily break or be unsafe. Typical applications for our safety mirrors include: security, health and safety, highways traffic safety, interior design, surveillance, car parking and driveway safety. Our safety mirrors are used in the following environments: homes, offices, warehousing, retail shops, dance schools, hotels, schools, colleges, public buildings, car parks, train/bus stations, industrial buildings, leisure centres, prisons, boats, caravans, specialist vehicles, highway, airports, hospitals, garages, public houses, nightclubs, care homes, banks. We supply and install to both home and business user, as well as to the public sector - such as government, local authority, health and educational establishments. We supply the highest quality safety mirrors available on the market, professionally installed upon request. Our safety backed glass mirrors are Pilkington Optimirror™ OW Protect, they conform to the latest British and European Safety Standards. They are supplied with polished and arrised edges, resulting in a high quality finish when installed. They are also the latest low-iron Pilkington mirror which give a whiter/brighter appearance when compared to a normal mirror. These are available in stock sizes and bespoke sizes. Acrylic mirrors are used where safety requires the light-weight and shatter resistance qualities of acrylic plastic sheet. Successful applications include use around the home, schools/colleges, offices and shop surveillance. Acrylic mirrors are approximately 10 times stronger than glass. Polycarbonate mirrors are extremely robust, offering impact strength of around 30 times that of acrylic mirror and over 250 times greater than that of glass. Typical environments for installation are schools/colleges, highway, public buildings and prisons. Stainless steel mirrors are virtually unbreakable and suitable for a wide variety of applications, particularly where hygiene is important and the possibility of abuse is greater. Typical environments are food preparation facilities, hospitals, washrooms and public toilets. Manufactured in high quality 0.9mm 304 grade stainless steel, these mirrors are extremely strong, corrosion resistant and hygienic. Vialux safety & security security mirrors are made from Polymir* and are supplied with a 3 year guarantee and are unbreakable, easy to install, very light and can withstand extremes of weather. P.A.S* mirrors are supplied with a 5 year guarantee and are unbreakable and unalterable by temperature change. They are easy to install, very light, UV inhibited, scratch and impact resistant. * Polymir and P.A.S are registered trading brand names of Vialux. All of our products are supplied with a free 7 day money back guarantee. Our products also come supplied with a 1 to 5 year warranty, please see individual products for duration of warranty period. The warranty applies to the mirror, frame and fixings (under normal operating conditions). Our mirrors, frames and packaging are all fabricated in recyclable materials.